Saturday, September 7, 2019 from 10 a.m. to 4 p.m. Doors Open Markham presents a diverse selection of sites to visit – historical and contemporary – which showcase the vibrant cultural mosaic that is our city. 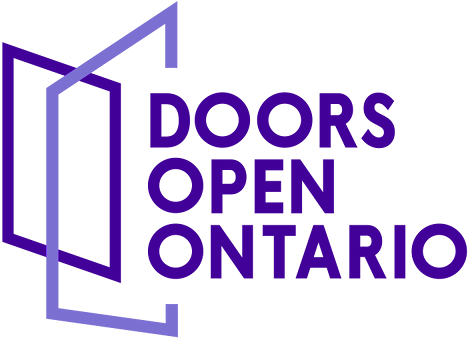 Sites that reflect the Doors Open Ontario 2019 theme of communication will be featured along with a great selection of other sites that showcase Markham’s culture and history. Markham – Canada’s most diverse city – blends the latest trends in technology and urban design with an award-winning heritage conservation program. Markham is currently developing Markham Centre, our community’s “downtown,” while taking care to protect and celebrate our heritage conservation districts: Old Thornhill, Buttonville, Unionville and Markham Village. The contrast between new and old gives our city its distinctive flavour, which is admired by citizens and visitors alike. Multiple locations within Markham — check out the sites to visit. September 7, 2019 from 10 a.m. to 4 p.m. Please contact George Duncan at gduncan@markham.ca. Heintzman House is one of the oldest buildings in Markham. Originally built as an adobe brick cottage dating from the early 19th century, the house was enlarged by Colonel George Crookshank in 1817. Charles T. Heintzman, grandson of the founder of Toronto’s Heintzman Piano Company, purchased the property in the 1930s and transformed the house into its present, elegant form. This distinctive example of Ontario vernacular architecture features Gothic revival and classical revival detailing. It was originally the home of Salem Eckardt, a local auctioneer. Group of Seven artist Frederick Varley lived here in his later years; he had a studio in the basement. The space now showcases the work of local artists and provides a studio for art instruction. Unionville's restored Stiver Mill, a local landmark, now serves as a community centre and farmers’ market. Originally built as a grain elevator, the western portion of the structure is one of the last of its kind in the region. A feed mill was added to the east end in the 1930s. Come and enjoy family fun activities during Doors Open. Situated in Unionville’s historical village core, the Varley Art Gallery is an excellent example of post-modern architecture that contrasts with its neighbouring heritage buildings. The gallery – named after Group of Seven artist Fred Varley, who lived in Unionville in his later years – is home to a fine collection of the artist’s works, as well as those of other Canadian artists.